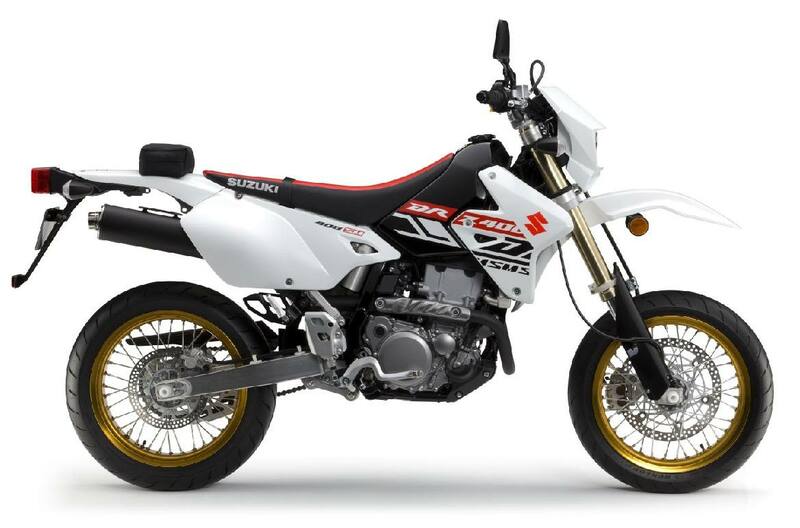 The DR-Z400SM welcomes you to the exhilarating world of supermoto riding with cutting-edge dual-purpose bike design and stylish, functional top-grade equipment that captures the essence of free-spirited street riding pleasure.The Suzuki DR-Z400SM is a street legal bike for serious dirt bike enthusiasts. It's not uncommon to take the SuperMoto down a twisty forest trails as well as tight canyon corners. Its 398cc liquid-cooled, four-stroke engine provides strong low-rpm torque and crisp throttle response for any of these occasions. 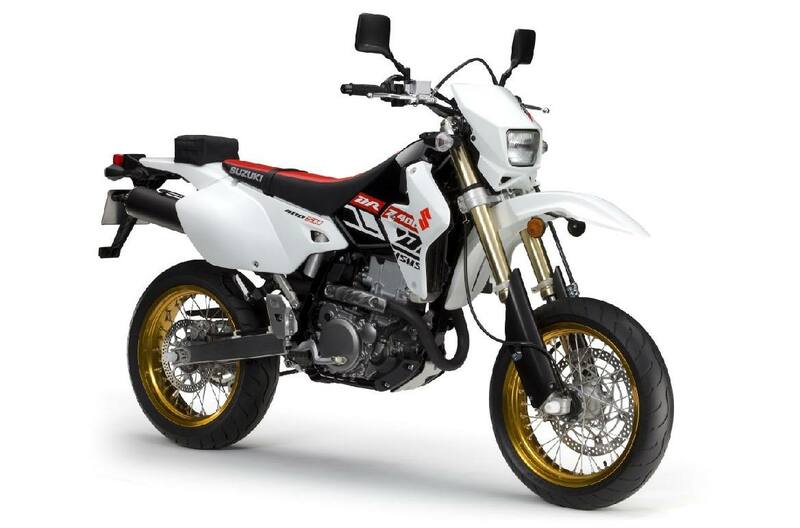 They key difference between the DR-Z400SM and the DR-Z400S is the inverted forks. Inverted front forks contribute to less unsprung weight and improved overall handling.Fun to ride whatever street, avenue or highway you're headed for.